Hello! Thank you for visiting, be sure to check out my latest demo. Recording has come a LONG way! I was always fascinated with sound, I guess that is why I started out in Broadcasting at the age of 14. Many a teenager dreamed of being a radio jock, which at first was my intention when I got that interning gig that summer. But once in the depths of the Radio Station, I fell in love with Production. The sounds, the beeps, the sound effects, the deep promo voices, all being spliced together to for a unified glorious commercial. I was in love and I knew then that I wanted to do this for the rest of my life. Fast forward to today, The technology and the capabilities we have in audio production are staggering! 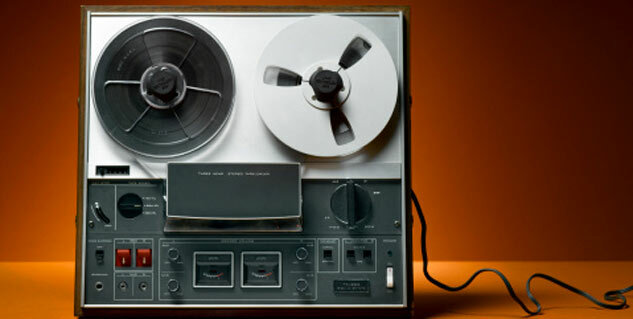 Even beyond the dreams of a boy in the studio with reel to reel tape and a razor blade. Today you are able to produce studio quality audio at lightning fast speed and send it anywhere in the world in mere seconds. But even with all that technology, it is only as good as the Producer and Voice Talent using them. Far too many people over process, or try to achieve that BIG sound through a plug in or a piece of equipment. They lose all the magic and the nuance that a perfect voice over can deliver.